Gym Star Apparel is a high quality, athletic style clothing, sports, and bodybuilding retailer. 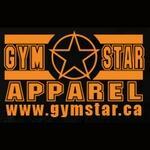 Located in Regina, Saskatchewan, Gym Star offers top brand name fitness inspired wear for men and women. Justin Mondor is the owner of Gym Star. Products Carried: Gym Star Apparel offers authentic, brand name fitness-inspired clothing. Based in Regina, Saskatchewan, Gym Star offers athletic style Pants, Tees, Shorts, Jackets, Hoodies, Workout Clothes For Women, Better Bodies Clothing, and more. They also offer Mad Max and GASP brand clothing. Gym Star products are deigned to connect with the dynamic fitness and bodybuilding life.